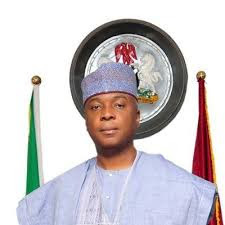 Senate President, Dr. Abubakar Bukola Saraki has advised all humanitarian agencies and Non-Governmental Organisations (NGOs) operating in the Northeast region of the country to always liaise with government agencies to help ease administrative bottlenecks in the cause of their duties. The Senate President, while receiving the Executive Director of the World Food Programme (WFP), Ms. Ertharin Cousin, who led other members of WFP to the National Assembly, urged humanitarian agencies to always collaborate with security agencies so as to ensure their safety at every point during their stay in the country. While responding to comments by the WFP Executive Director, Saraki said such collaboration with different levels of governments in the country would help ease some of the administrative challenges the NGOs may encounter in their line of duty, especially on security and importation of their equipment. According to the Senate President, "the collaborative efforts will help us play our part very well by providing the necessary counterpart initiatives", he said. The Senate President also called for a sustained humanitarian effort to address the challenges facing Internally Displaced Persons (IDPs) in the Northeast, while urging the WFP to help ensure that the food crisis in the IDP camps are reduced. Earlier, the WFP Executive Director complained that her organisation encountered some administrative bottlenecks in the importation of the equipment needed in the course of its duties and sought the intervention of the Senate President to ease the challenges. Ms. Cousin said the WFP is providing high yield seedlings to the displaced persons in the Northeast, explaining that the intervention is to ensure food security in the region. She explained that over one million people had benefited in the provision of assorted seedlings and that between January and April this year the number would increase from 1.3 million to 1.8 million following the joint efforts with the various States' Ministries of Agriculture.